Situation: Iowa City-based University of Iowa Hospitals and Clinics (UIHC) — recognized as one of the best hospitals in the United States — is Iowa’s only comprehensive academic medical center and a regional referral center. 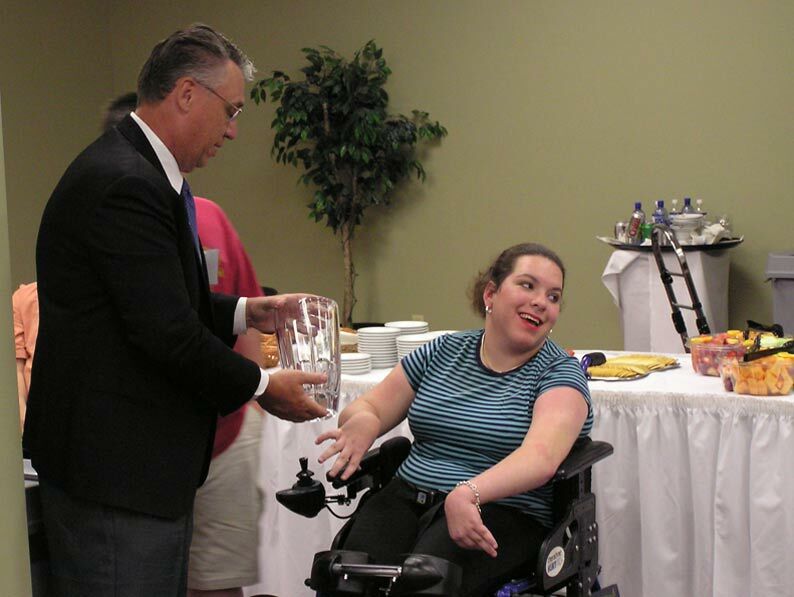 UIHC’s Center for Disabilities and Development and University Center for Excellence in Developmental Disabilities are dedicated to improving the health and independence of people with disabilities and advancing the community systems on which they rely. The Center’s Employment First Initiatives — formerly named Employment Policy Group (EPG) — works to increase the financial self-sufficiency of Iowans with disabilities by building Iowa’s capacity to promote integrated, community-based employment outcomes. Hanser & Associates was retained in 1997 to call attention to the “abilities” of persons with disabilities and get the message out statewide. Strategy & tactics: We created a PR strategy and implemented a statewide PR program that leveraged our strong relationships with Iowa’s business leaders, news media and elected officials. Tactics included arranging legislative briefings for Iowa House and Senate leaders in the Iowa State Capitol; conducting news conferences across the state; writing news releases; placing news stories in media; building attendance at UIHC events; conducting statewide media tours for UIHC’s staff and clients to announce program initiatives; establishing relationships and dialogue with business leaders that helped increase employment of persons with disabilities; counseling during crises; and creating public service announcements, videos, websites, brochures and more. Results: Public awareness and perception toward persons with disabilities has improved statewide, employment has increased, and additional state and federal funding was awarded for programs.